Light Wool Peace Dove Tallit Set. 100 % Wool with sewn with beautiful Peace ribbon designed with the dove peace emblem. 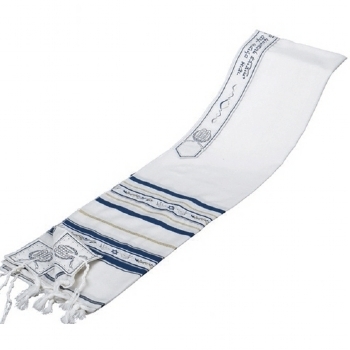 A tribute to the age old classic symbol on this tallit.